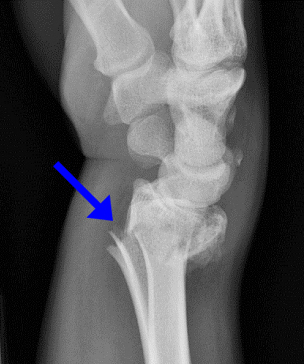 Diagnosis is by standard wrist radiographs. The lateral view provides the best view of the dorsal angulation and comminution. In elderly patients, fractures are usually extraarticular metaphyseal fractures, whereas in younger patients they are usually intraarticular.